Insect netting is a thin fabric , similar to row cover yet thinner and more porous. Use insect netting on crops with great pest or bird pressure where there is no need to insulate the crop .It transmits up to 85 percent of available sunlight and will not block rain or overhead irrigation. This cover should not be used for frost protection as it is thinner than other row covers. Insect netting’s main purpose is to deter insects and act as a physical barrier in doing so . It will keep most insect pests away from your crops as long as plants are completely covered and the edges are securely pinned to the ground . They will block aphids , potato beetles , Japanese beetles , grasshoppers , leaf miners, cabbage worms , root maggots , and some vine borers. Insect control: The insect netting can basically block all kinds of insects, birds, mosquitoes, pieris rapae , plutella xylostella, cabbage moth, prodenia litura, achillea, ape leaf insects, aphid. Significantly reduce the use of chemical pesticides. Can be used to grow pollution-free crops. 2. Disease prevention: Virus disease is a catastrophic disease for many vegetables, it’s mainly spreaded by insects, especially aphids. 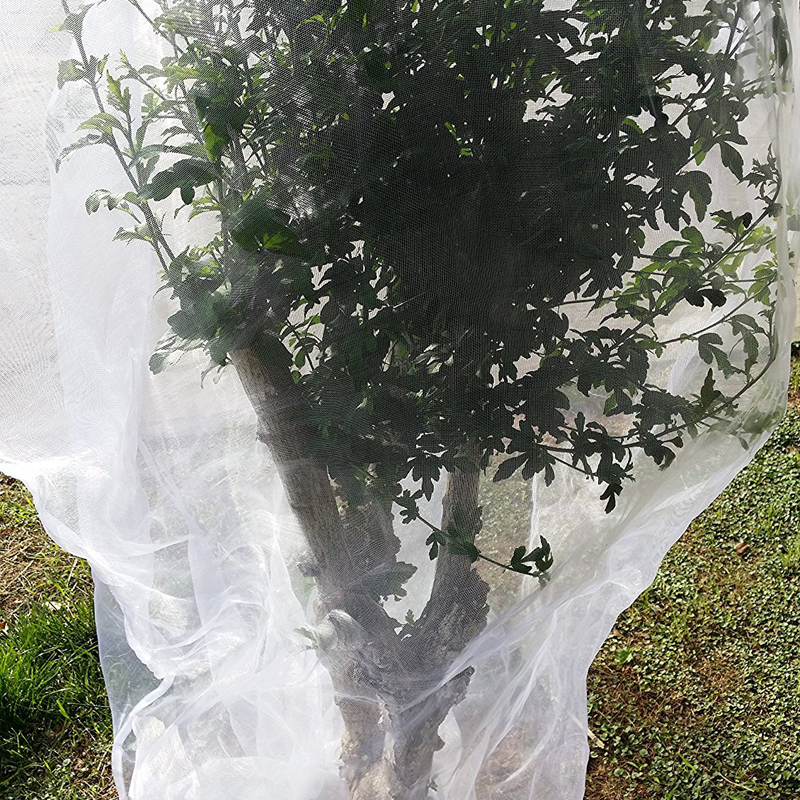 Insect netting cut off the main transmission way, therefore, it helps greatly reduce the infection of viruses, control effect about 80%. 3. 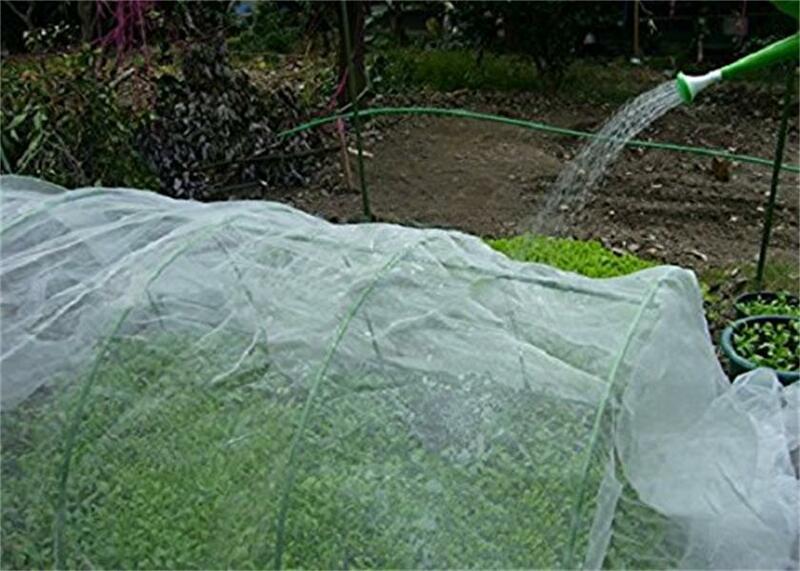 Regulate the temperature, soil temperature and humidity: Tests show insect netting help plants enjoy up to 3-5℃ lower temperature. Also, it can effectively prevent frost. Insect netting helps reduce the indoor precipitation and the indoor evaporation. 4. Block sunlight: Insect netting can shade to a certain degree and reduce the possible inhibition caused by the strong light. 5.Easy to install-Cover it directly; Build a hoop or a grow tunnel, then place the netting on the frame. 6.High quality -Eco-friendly, non-toxic, tasteless, corrosion-resistant, anti-aging, anti-ultraviolet and anti-pulling with ventilation and cooling effect.